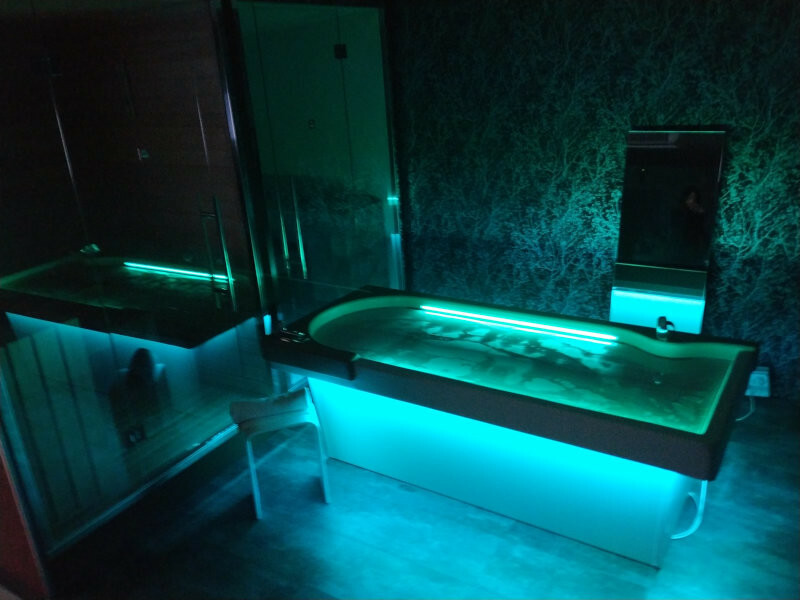 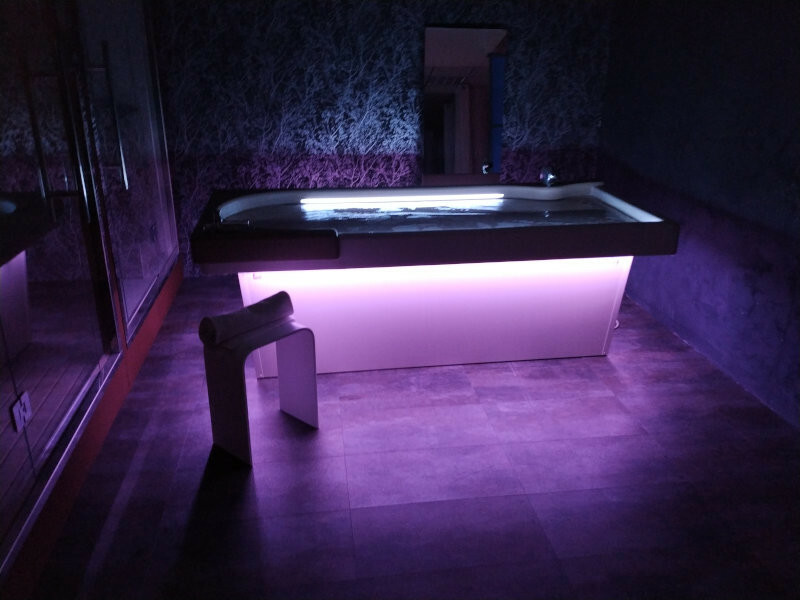 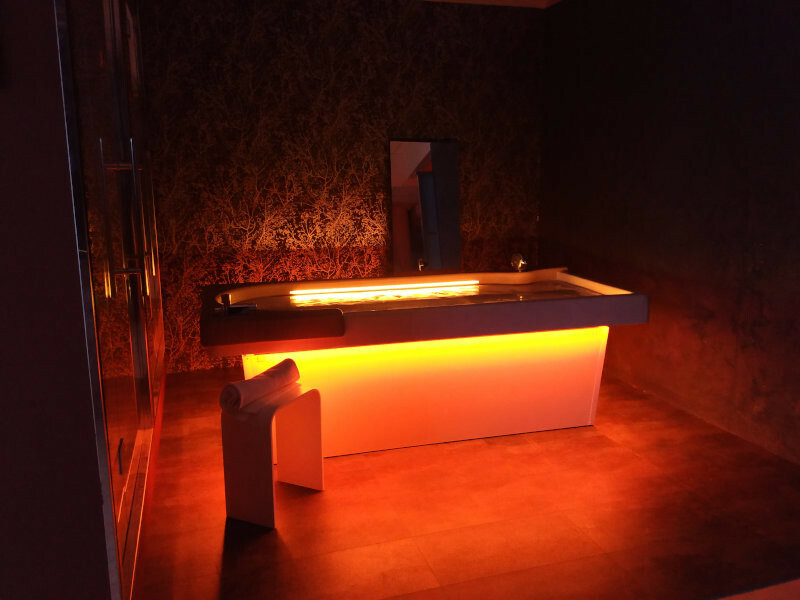 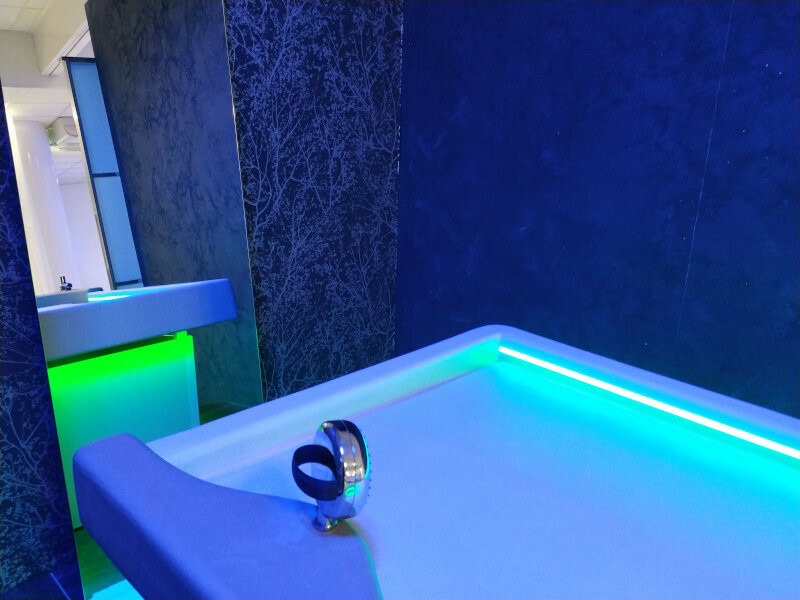 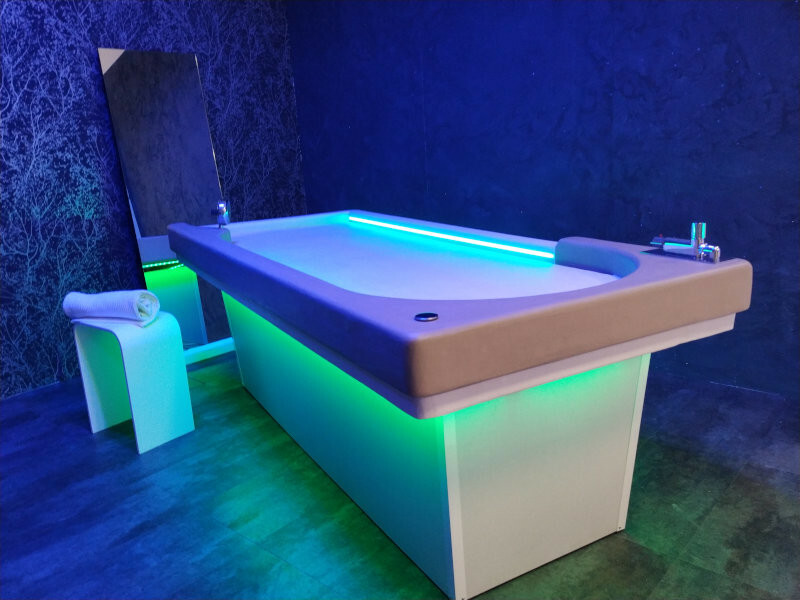 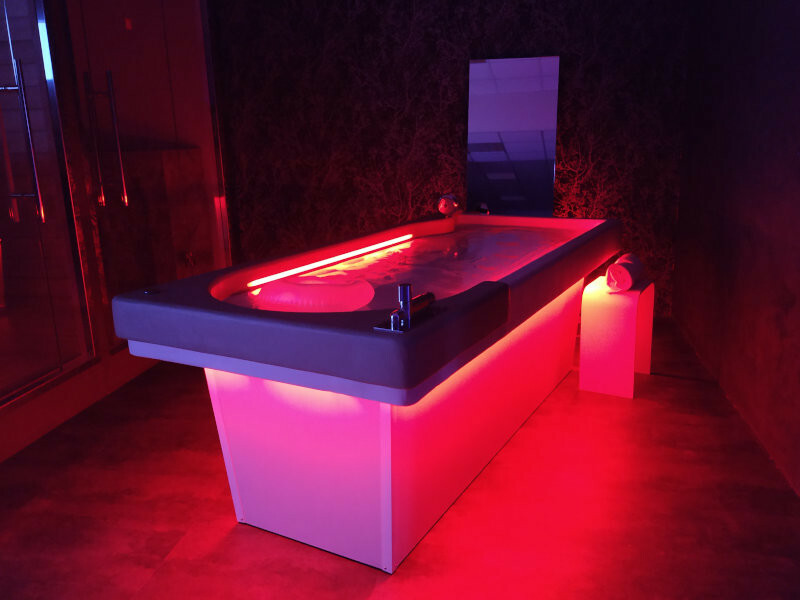 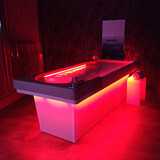 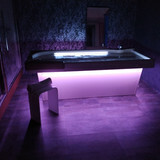 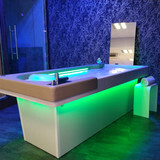 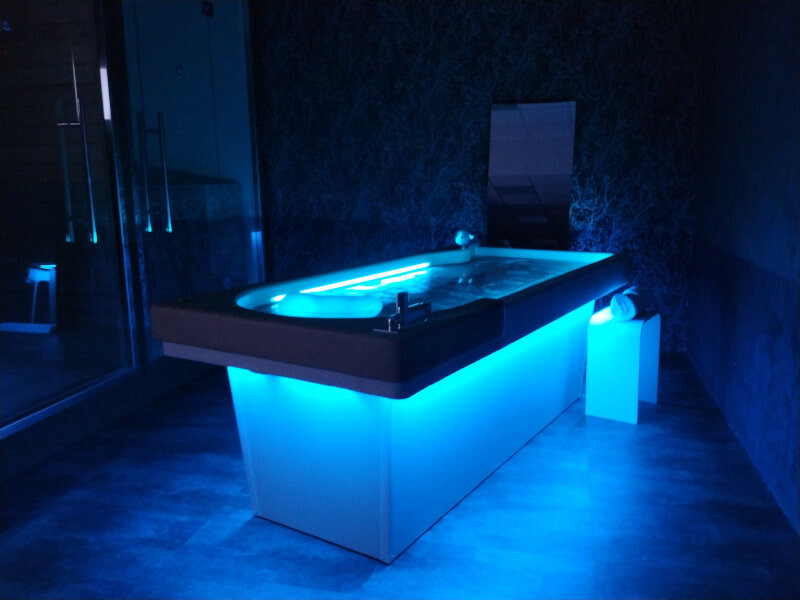 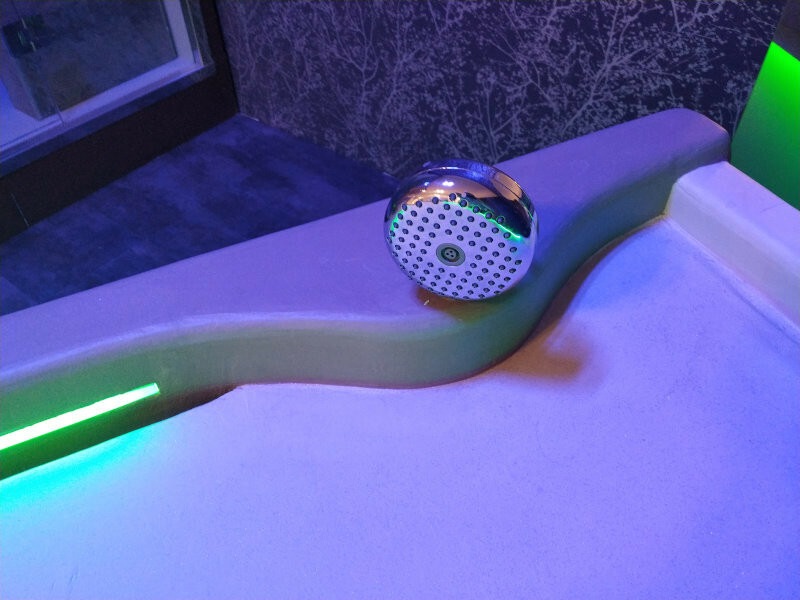 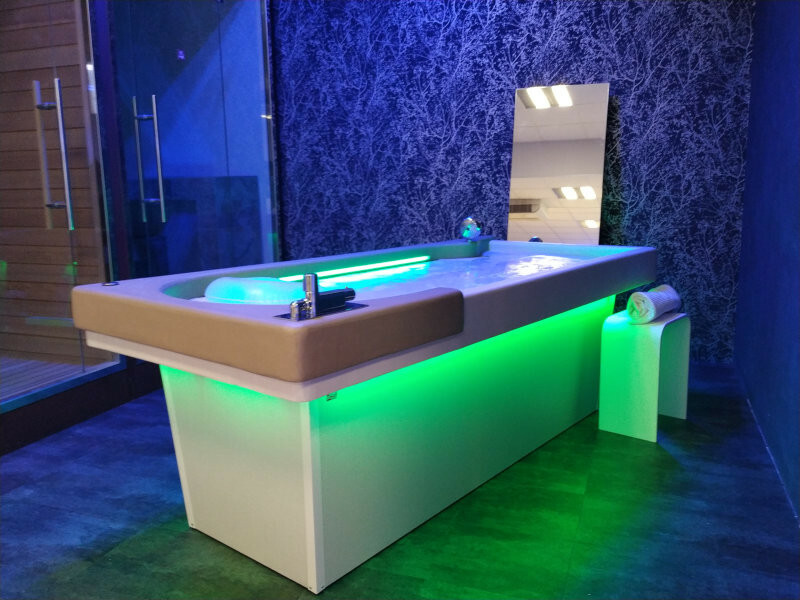 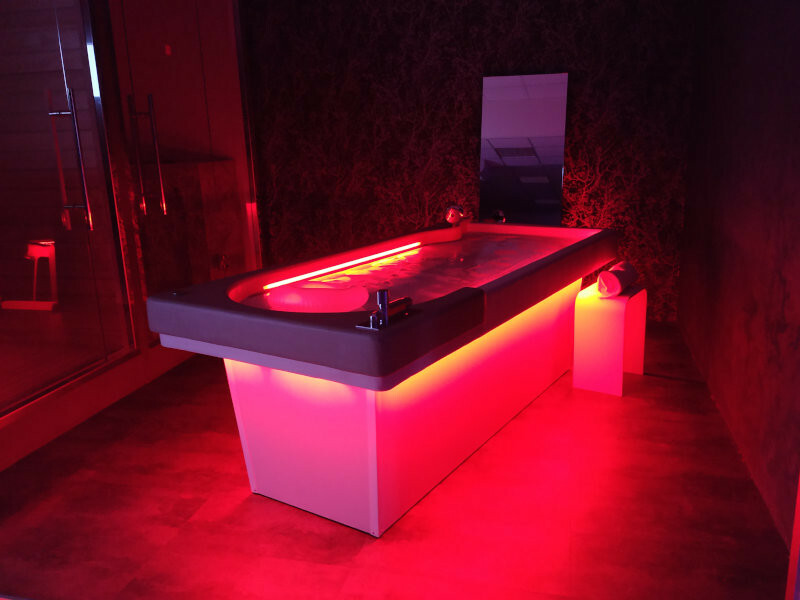 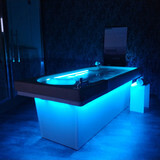 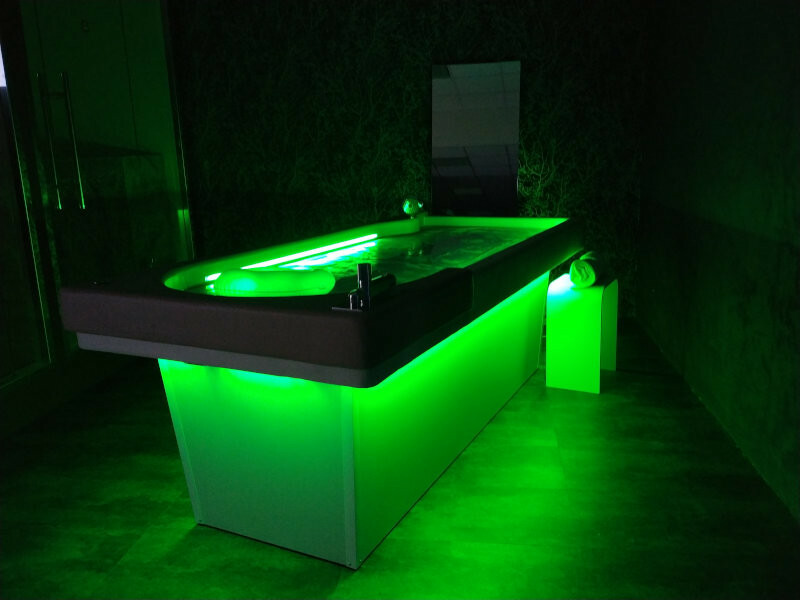 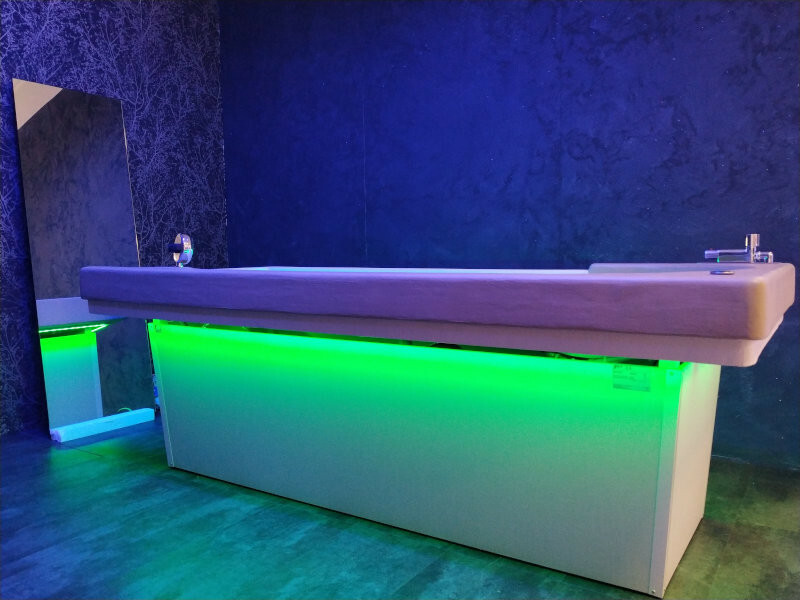 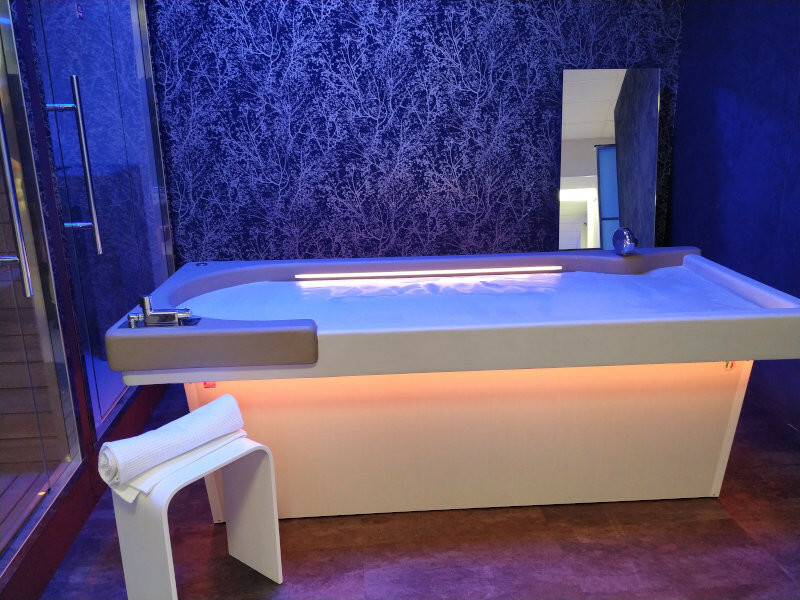 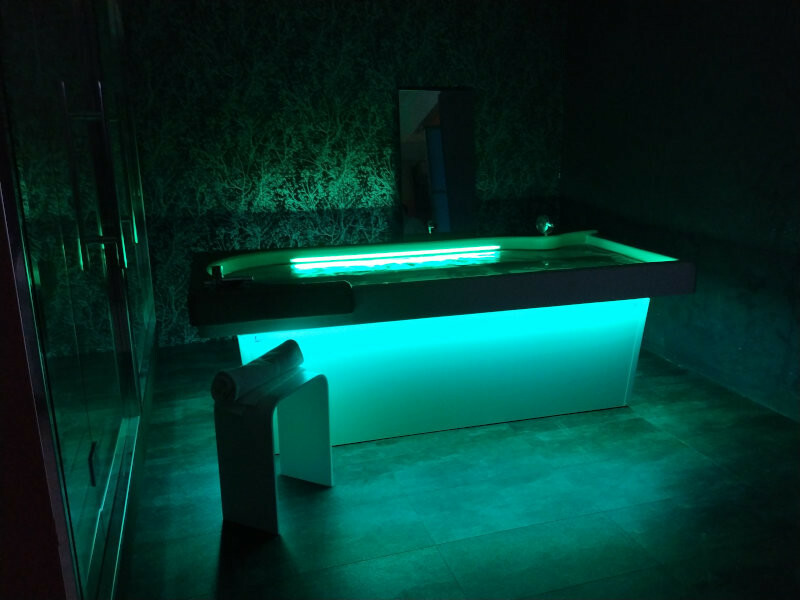 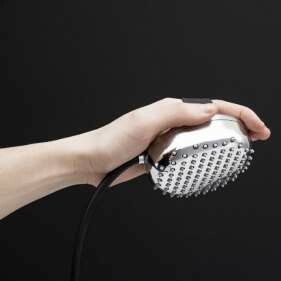 Nebula is the perfect bed for water treatments: its wearable shower allows you to combine the skills of the operator with the pleasure and benefits of water massage. 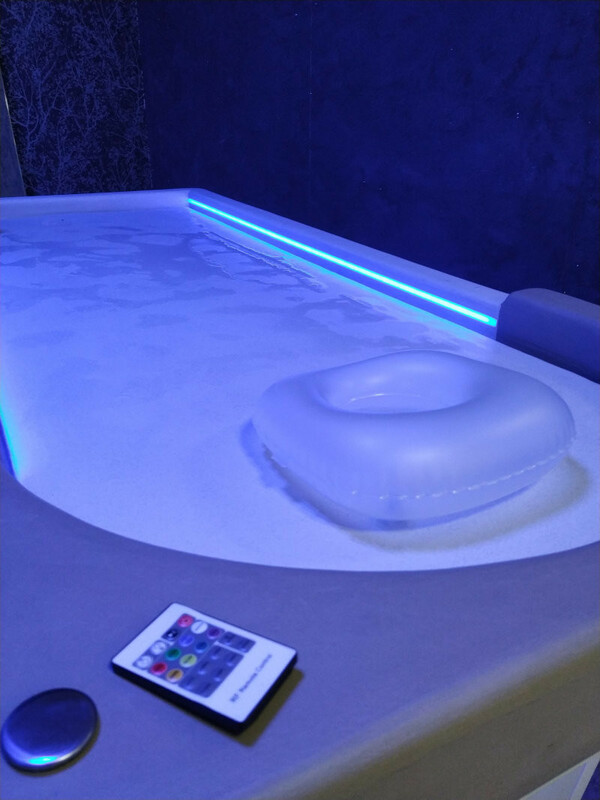 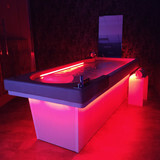 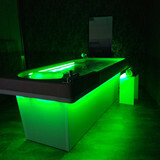 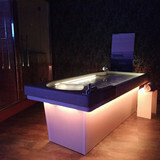 The temperature of the water during the massage is easily adjustable by the operator and the intensity of the jets offers different options, too. Realized with waterproof materials, suitable also for thermal water: the structure and base are made of steel, while the anatomic heated support surface is made of polyurethane covered with resin. 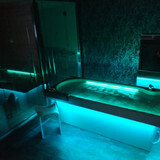 The water used for the treatment is channeled and collected in the drain set under Nebula. 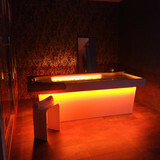 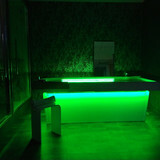 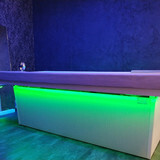 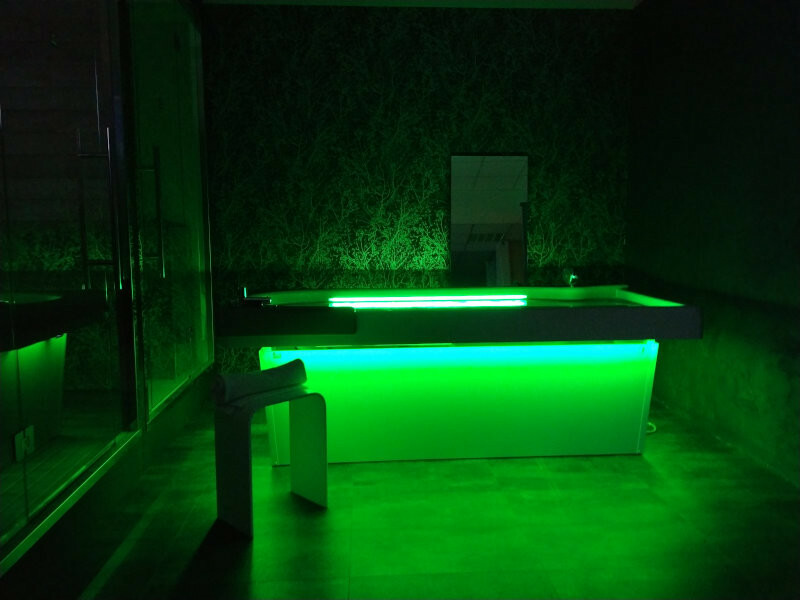 A powerful chrome lighting system creates a sequence of colors both on the user and all around in the environment. 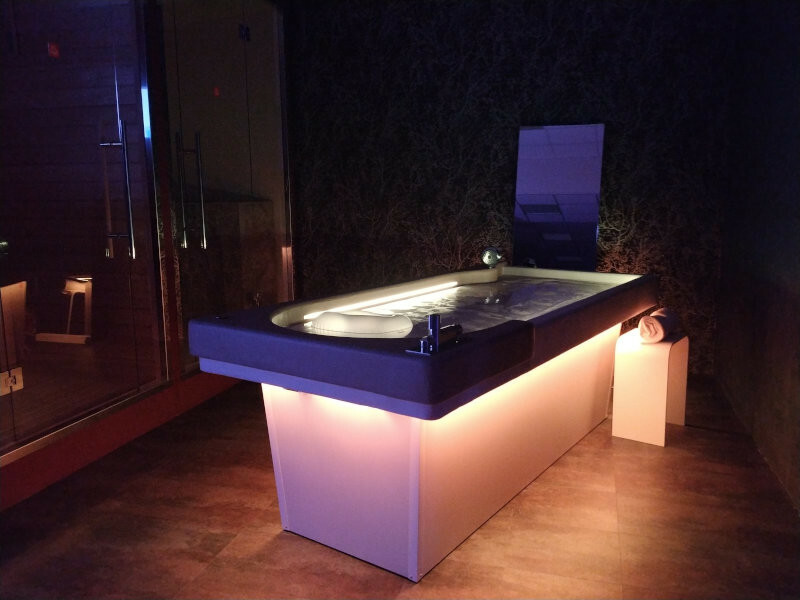 A thermostatic mixer and a hand shower with built-in tap, always available, allow to easily clean the top as well as to rinse the customers at the end of the treatments.